Pin It Now! "I want you to make me." Yes. This is what my 9 yr. old said to me the other day. Fortunately, he wasn't being disrespectful. ;) He wants me to make him practice playing the guitar. Finding a healthy balance in this area can be quite difficult and exhausting. On one hand, I want my children to know how to just "be" and not have to constantly be entertained. I want them to be creative on their own and learn to be self-motivated. (Lack of finances has definitely played a huge part in helping my husband and I achieve this goal!) On the other hand, I don't want my children to become too bored. And, honestly, sometimes children need a little healthy force encouragement to get off their behinds and do something worthwhile! Playing Halo doesn't count. I am already my kids' teacher, so I am the one making them do all their schoolwork; I make them do chores and a bunch of other stuff, too. So, when I asked my son why in the world he wanted me to make him do something else, much wisdom poured forth from his little mouth. Basically he said that if I didn't make him, he probably wouldn't practice playing. And that even though he didn't like being made to do things, this would be one of those things he'd thank me for later. Mix all ingredients in blender. Pour over ice. Sprinkle with cinnamon. Even more tasty--top with whipped cream then sprinkle with cinnamon! I recently had Starbuck's Pumpkin Frap. and it was just okay. My smoothies are loads better!! And probably more healthy, too. 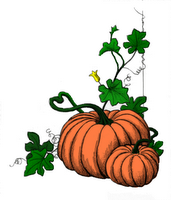 Sit back and enjoy this pumpkin treat while it is still warm outside! 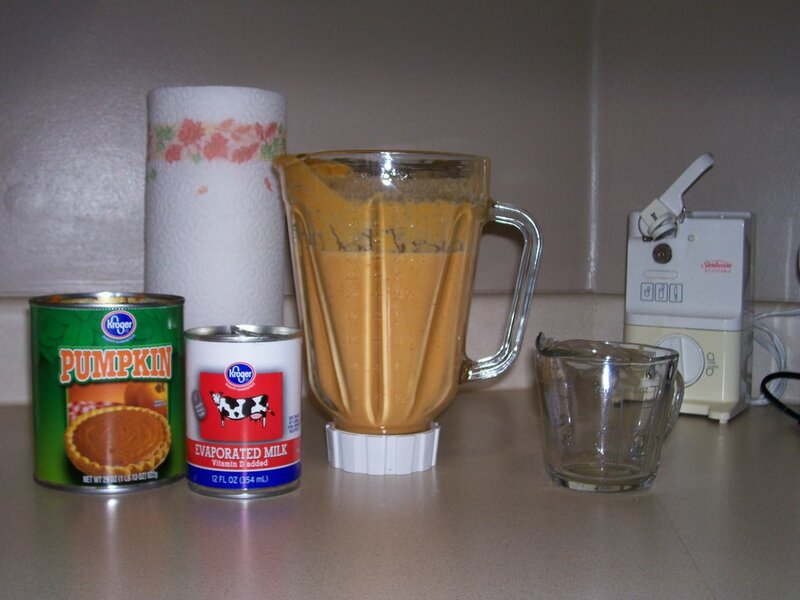 I originally posted this Sept. 13, 2006, but I wanted to share it again for recipe link ups!! The first day of fall is Thursday, and my family and I will be enjoying these smoothies in the 100 degree desert heat!! Note: Using pineapple orange or just pineapple juice tastes better than using plain orange juice. Makes it less tangy. I tried just plain oj once b/c I don't usually have the pineapple oj on hand, and it wasn't as tasty. Just so you know. I don't think I've heard my boys laugh over a book since Diary of the Wimpy Kid. That is until I recently read aloud Neon-Colored Spider Webs by Tad Troilo. It's definitely the "nerd-factor-appeal." For my boys it's almost a guaranteed winner if the main character is a nerd. In Neon-Colored Spider Webs, Stewart is West Plain High's newest nerd. In typical nerd fashion, Stewart wears glasses, is brainy, and is slightly on the dumpy side. His body parts even have conversations with each other which my kids found amusing. Stewart might not have been scoring any points in the cool department, but within reading the first few pages of this book, I knew I'd scored big in the mom-picked-a-good-read-aloud department! Follow Stewart during an entire week of school where he contends against the second biggest bully in order to win back what he thinks is Big Pops' most prized possession. Poor Stewart, Big Pops is his new guardian, and he has good reason to be a little afraid of what he might do if he can't return the missing item. Somehow, in the midst of all Stewart's trials and tribulations, he begins to feel a sense of connectedness, but will this be enough to finally make him feel as if he belongs? 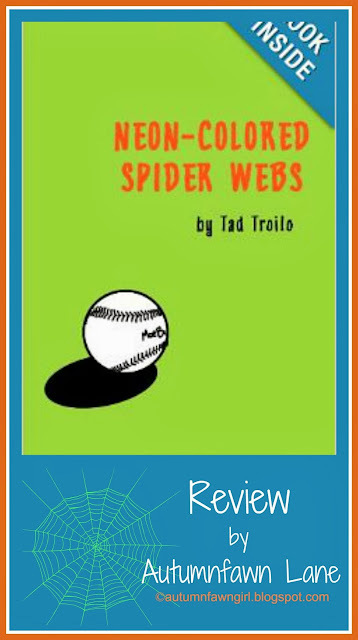 Neon-Colored Spider Webs was an enjoyable read aloud for my kids and me. It was humorous but at the same time realistic in the sense that it portrayed a kid who had to deal with being forced into less-than-ideal circumstances. It also sparked great discussions about lying and gambling, and according to our own family's values, why they are not healthy. "I like it because it doesn't make a lot of sense. It appears in a dream, yet we don't dream in color (I think that's true, isn't it? ), it appears to Stewart just briefly, yet it earns a spot on an important list, and really, I'm not sure I could tell you EXACTLY what it means myself, which I think is part of it's charm." The title was definitely my favorite part of the book, and I think you and your children would have fun discusssing it, too. It might even make a great discussion question for an assignment or a report. Grab your copy today at Amazon! I received this book from the author as a gift and was not obligated to write this review. My kids and I enjoyed it and wanted to share! Want a quality cartoon that entertains while teaching young ones positive character traits like sharing, caring, and being honest? 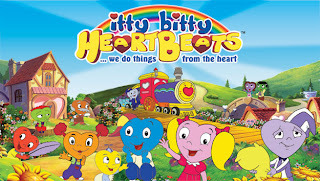 Well, right now you and your children (ages 2-6) can step into the magical world of Heartland and watch on-line absolutely free of charge itty bitty Heartbeats, an adorable, animated, musical TV series. 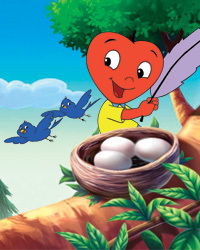 Each episode features the adventures of Heartland's main characters: CoolHeart, SweetHeart, and BabyHeart. 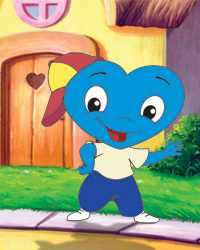 Along with their colorful friends KookyHeart, DreamyHeart, GiggleHeart, and HeartAche, they teach children to always do things from their hearts. The show opens with the itty bitty Heartbeats' catchy theme song, (believe me, you will be singing it to yourself before you know it) and then WiseHeart shares a real-life situation through a heart-shaped television set involving human children who are experiencing some kind of challenge. 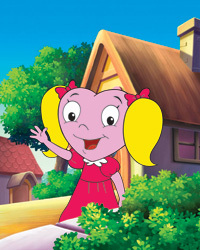 Following is the animated adventure in which the characters experience the same kind of challenge and learn to respond in a positive way . . . from the heart! Original songs in each episode, written by award-winning composer, song writer, recording and performing artist, Shuki Levi, reinforce the message to learn and do things from your heart. My daughter loved the songs. Take a moment and listen to a couple of them now! After you've watched one of the episodes, come back and enter the giveaway! *To enter, leave me a comment telling me which character or song is your or your child's favorite!! Giveaway will end on Wednesday, September 28. Please make sure you leave contact info. or some other way for me to reach you if you win! *Linked to Works for Me Wednesday. I am being compensated for this review, but the opinions expressed are truly from my heart! Pin It Now! Even if it does have to do with insurance. This past week I made a routine phone call to the allergist to renew an epipen prescription for my son. It's something I've had to do since he was about 2 years old. No big deal. It's just part of life for us. But . . . I felt my chest tighten and get all hot when the receptionist informed me 1.) that the allergist wanted him to come in since it has been 2 years and 2.) that my insurance company (Yes, it's government insurance, but we won't talk about that right now.) was requiring me to get a referral to be able to come back to the allergist we already go to and have been going to for the past 5 years. Um, excuse me? And did I mention that we already got a referral when we moved here 5 years ago? I felt like giving it one of these--WHAT THE? Yeah, the unfinished phrase I don't let my kids use. Well, I didn't say it, but I sure was thinking it. Okay so, my son's epipens have expired, and now I have to go to a primary care physician just to get a referral to go back to an already established Dr.
My son doesn't have a primary care physician. I never took him back to the quack we first went to when we moved here. Hmmm, let's see. Government insurance people want me to spend MORE money by possibly going to 2 doctors just to get a necessary prescription filled. Can we say "RIDICULOUS!" I wasn't happy when I got off the phone. I was nice, but my kids could see ugly written all over my face. I released tension by texting my hubby: I want to wipe my backside with the stinkin' insurance card. I know, totally crude, but I was mad. I knew stewing and sinning in my anger just wouldn't do for an honorable Christian girl, plus staying angry solves nothing and surely makes my liver and adrenals quite unhappy, so I truly did give up the fight. Thank you, God, for being truly merciful with me and for helping me to quickly turn that negative into a positive! I still think the insurance stuff is totally screwed up, though.